Kris Jenner beelined it to Blac Chyna's house literally minutes after Chyna went wheels up at LAX ... and we're told mama Jenner's mission is to get Rob back into the fold. Kris clearly knew Chyna was headed to England Friday for a club appearance, and she instantly made her move to confront her son on Chyna's territory. The Kardashian family is extremely upset with Rob for several reasons. Chyna has been an enemy of the Kardashian women since Kylie started dating Tyga. They say Chyna harassed and even threatened Kylie. They're also upset because they believe Chyna is using Rob to get quick publicity, and it's going to hurt him. 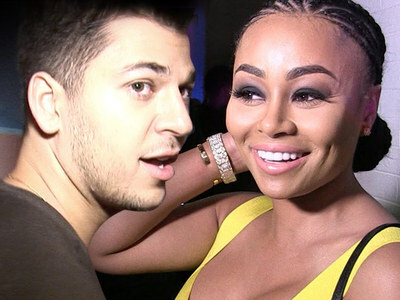 As we reported, Khloe became enraged last week when she can home early from a trip and found Rob and Chyna in her kitchen. It's interesting ... back in 2013, when Lamar was off the rails with drugs and living with Polina Polonsky, Khloe and Kris went to Polina's home to get Lamar and almost broke her apartment door down.